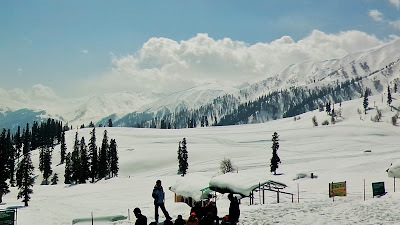 Any trip to Kashmir cannot be completed without having an excursion to Gulmarg, some can even opt for a longer stay in Gulmarg to enjoy its beauty. 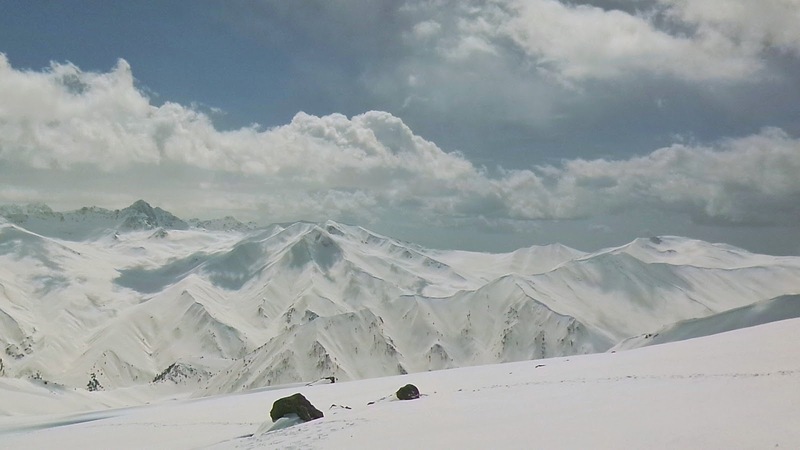 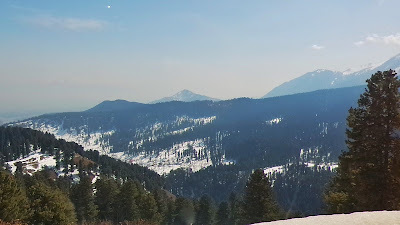 Originally called ‘Gaurimarg’ by shepherds, Gulmarg was a favourite haunt of Emperor Jehangir who once collected 21 different varieties of flowers from here and the place its present name. 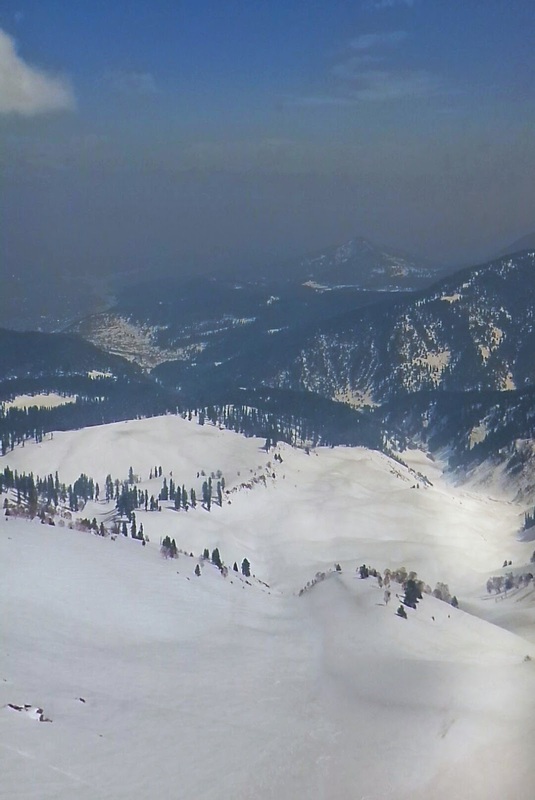 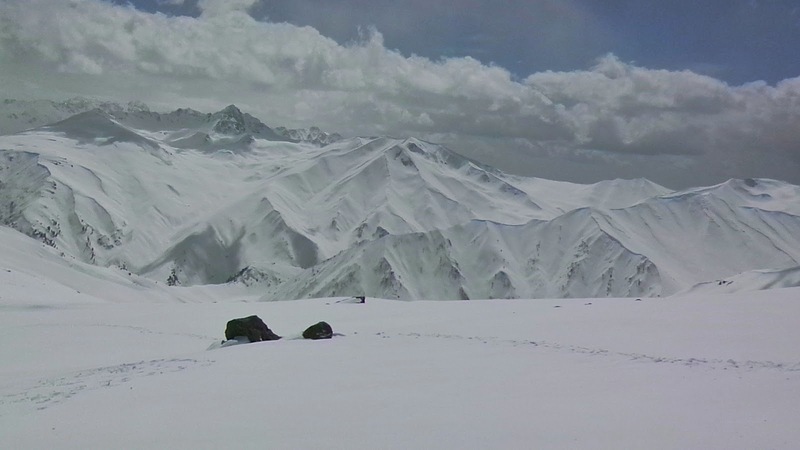 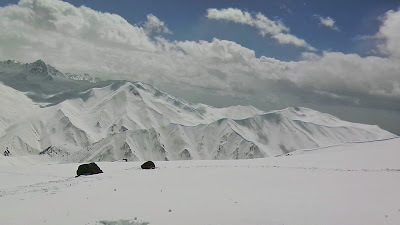 Gulmarg lies in a cup shaped valley in the Pir Panjal Range of the Himalayas, around 56 kms from Srinagar. 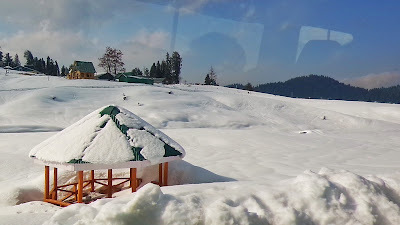 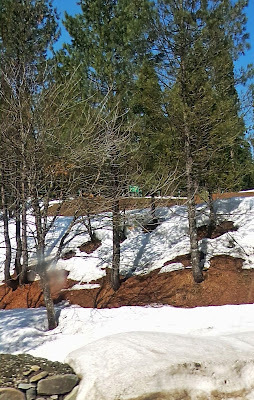 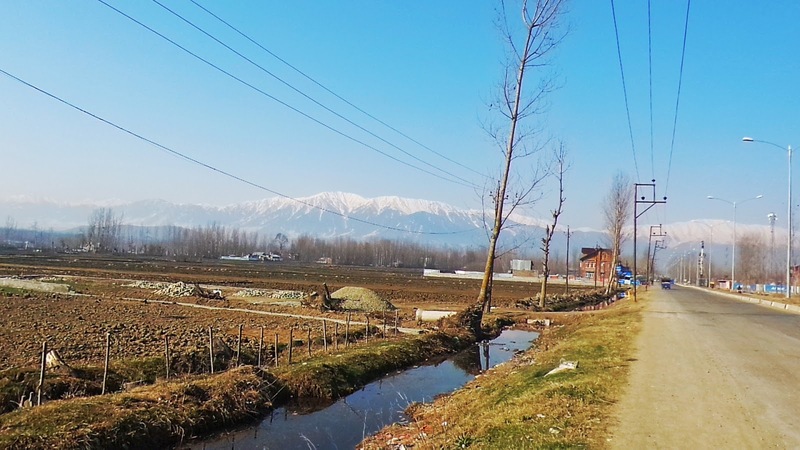 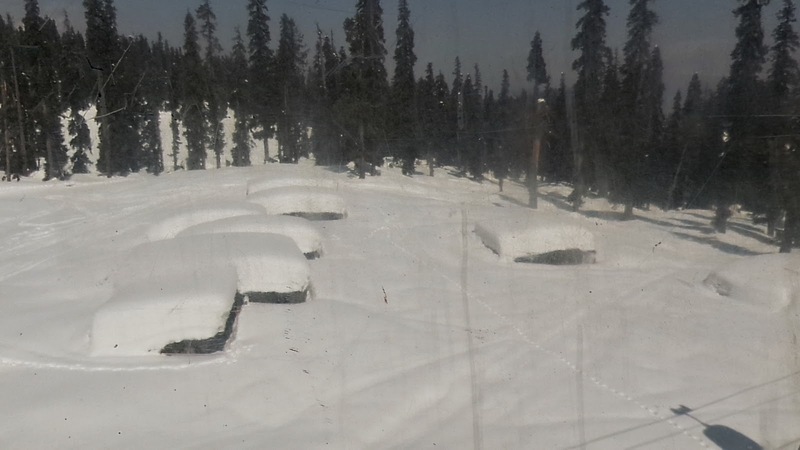 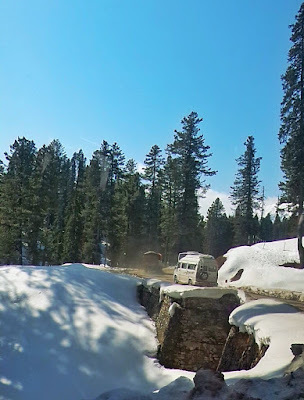 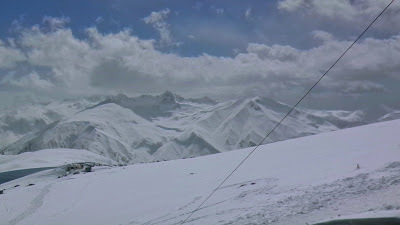 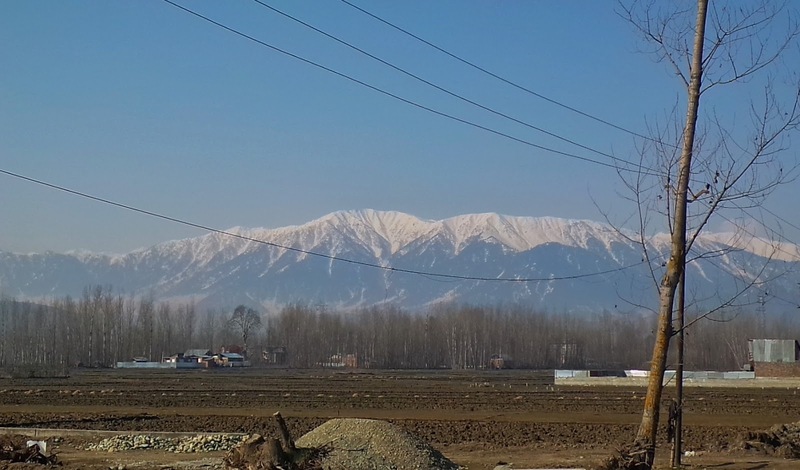 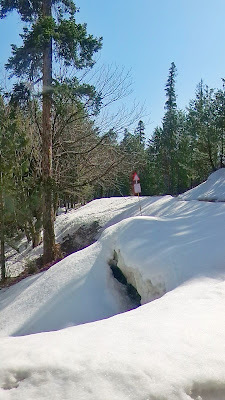 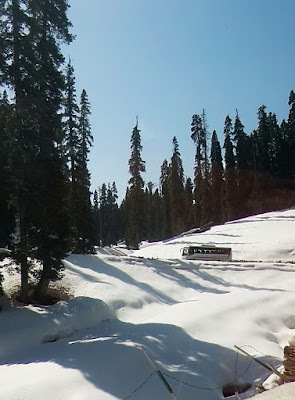 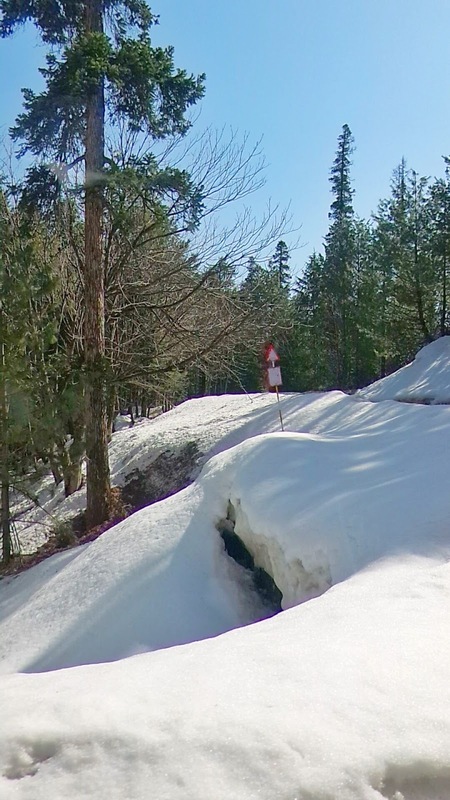 The journey to Gulmarg is half the enchantment of reaching there – roads bordered by rigid avenues of poplar give over to flat expanses of rice fields interspersed with picturesque villages. 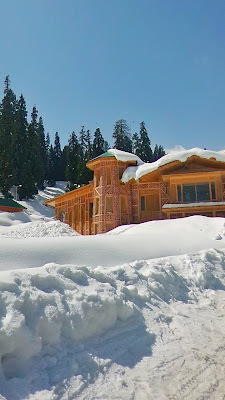 Depending on the season, nature’s colours could be the translucent green of spring, summer’s rich emerald, or autumn’s golden hues, when scarlet chillies festoon windows of village homes. 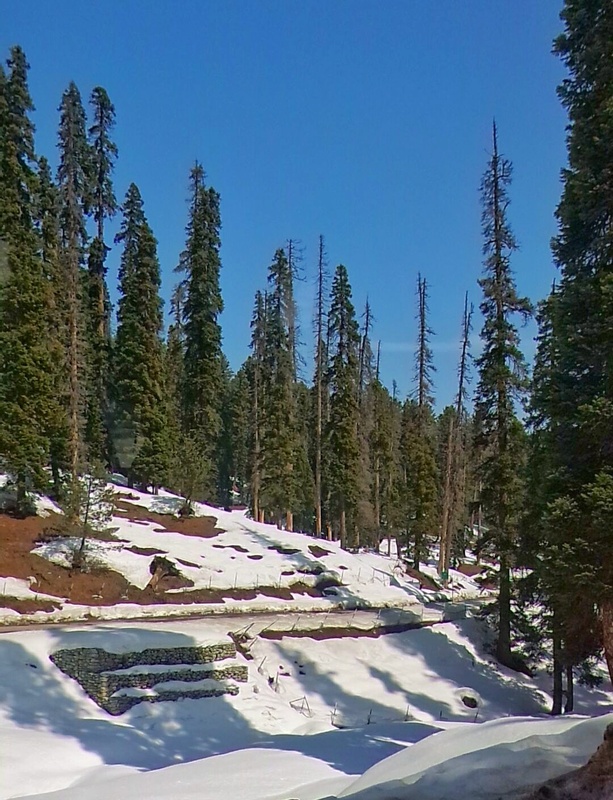 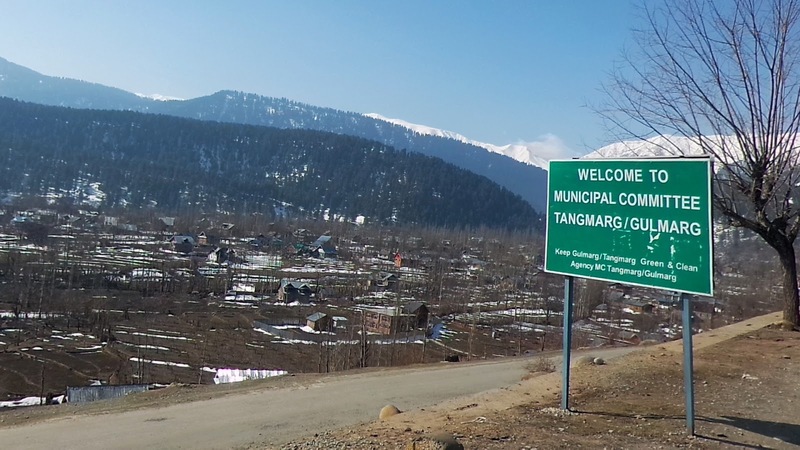 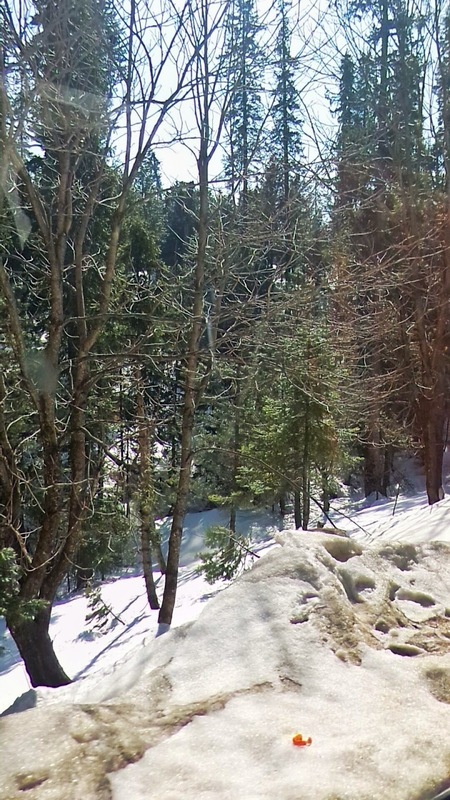 After Tangmarg, the climb to Gulmarg begins through fir-covered hillsides. At one point, known simply as View Point, travellers generally stop their vehicles for a few minutes and look out a spectacle of snow-covered mountains, almost within touching distance. Make sure you spend only few minutes, there is much more to see so keep moving. During spring, a rolling meadow dotted with countless colourful Bluebells, Daisies, Forget Me Not’s and Buttercups can be seen making the place true to its name - Meadow of flowers. 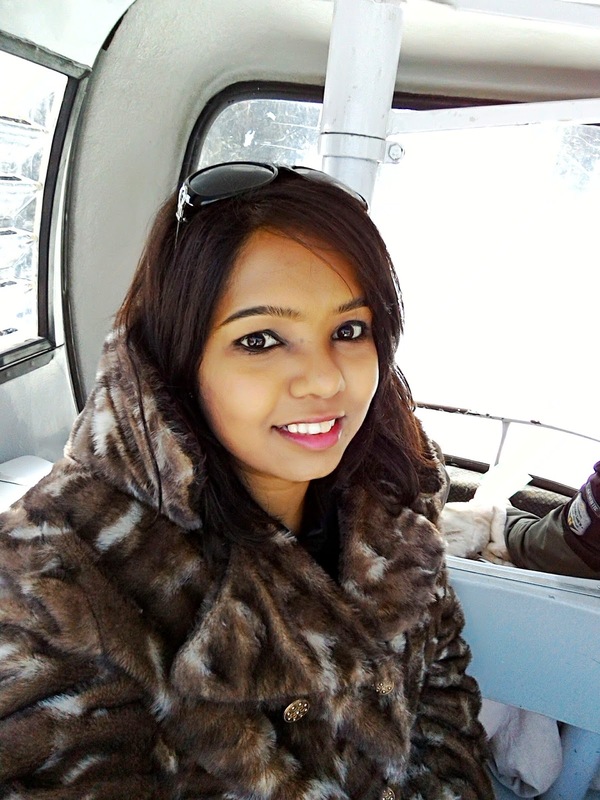 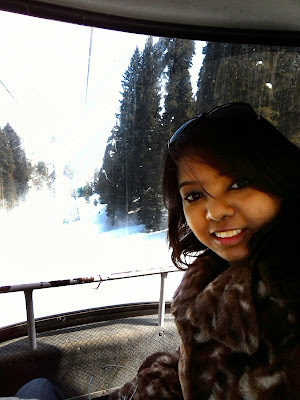 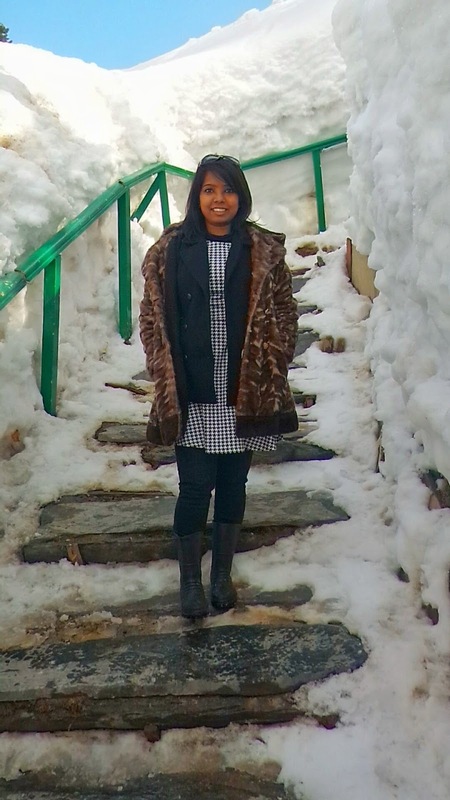 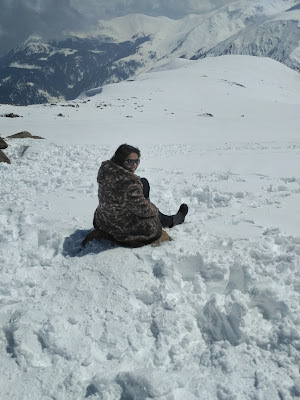 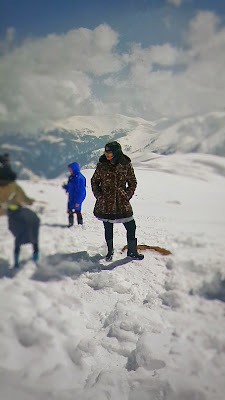 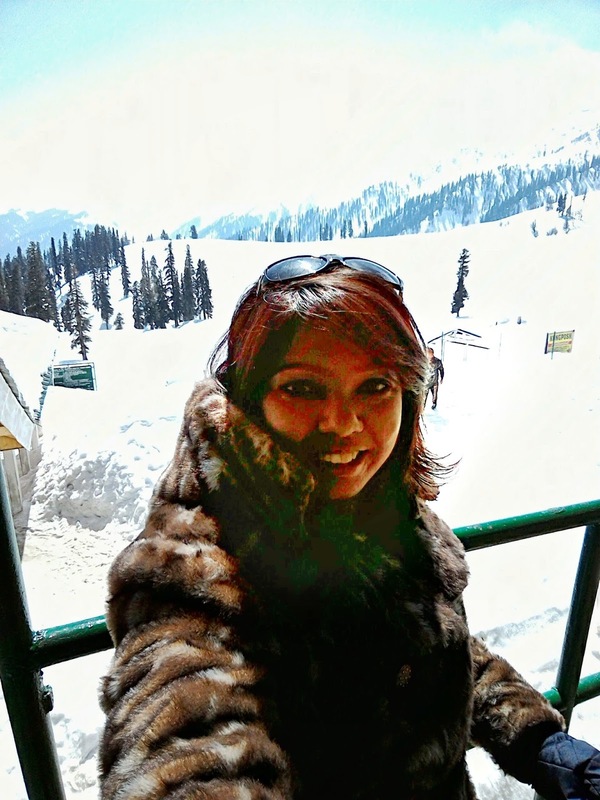 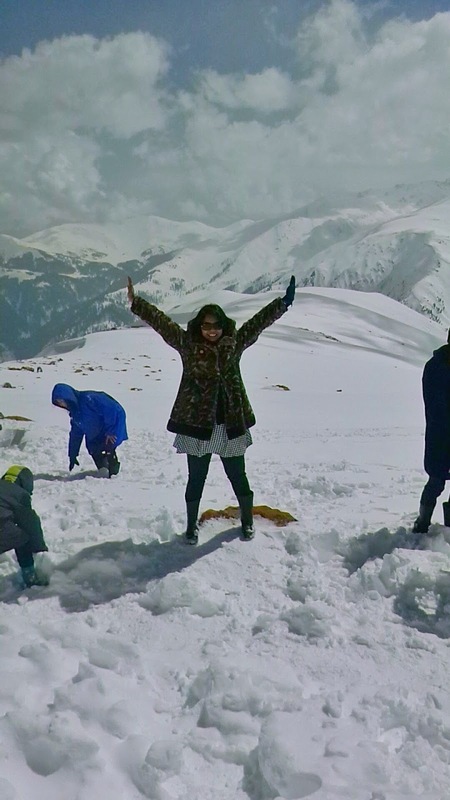 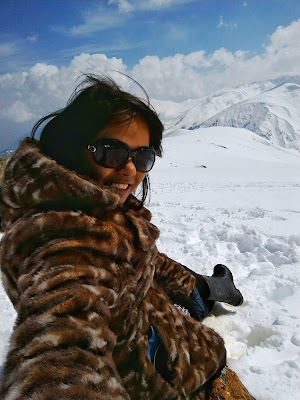 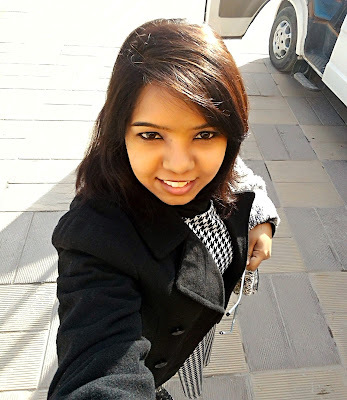 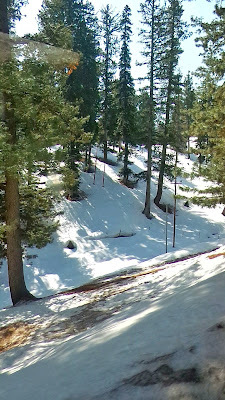 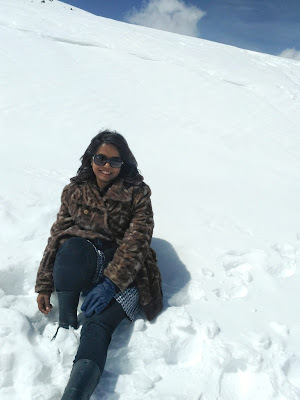 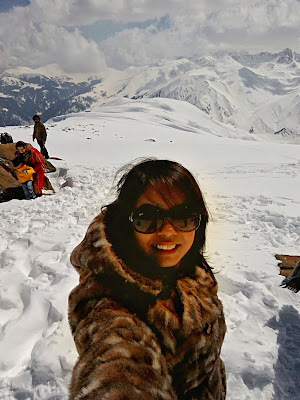 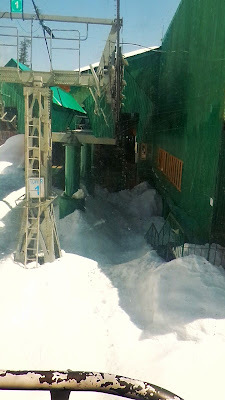 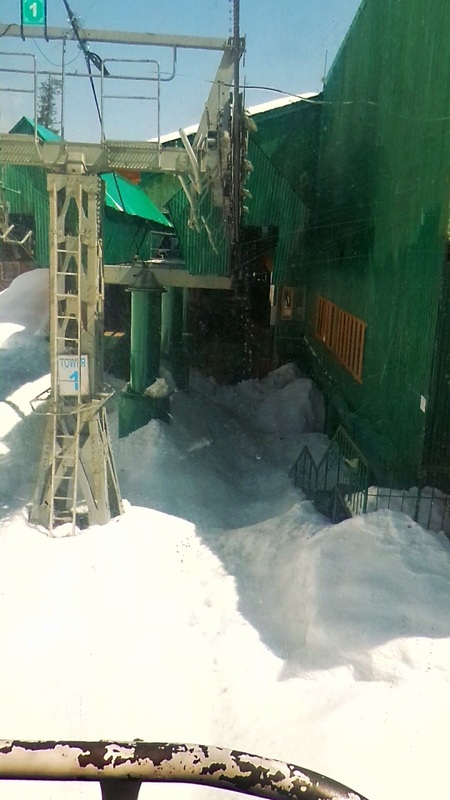 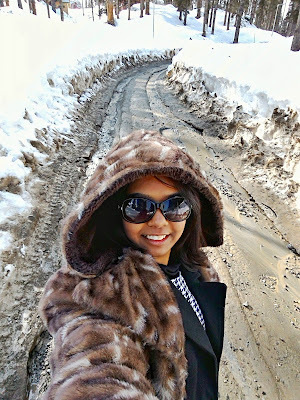 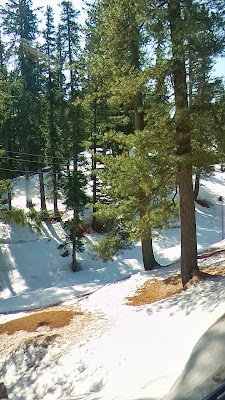 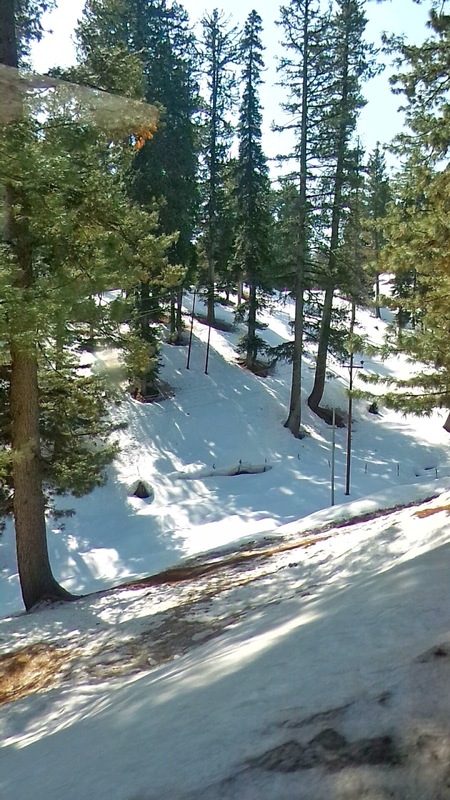 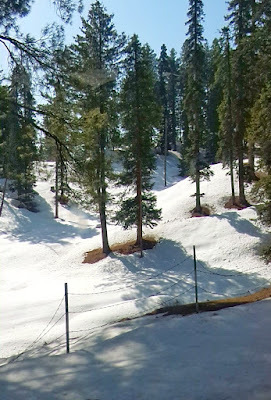 As I visited Gulmarg towards the end of winters, my entire experience and this blog will be snow-capped. One can rent coats & gamboots during winters from the the shops at the foothill of the mountains. 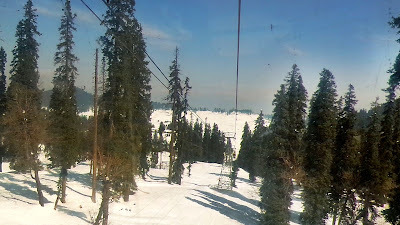 Don't forget to buy sunglasses and gloves for as less as Rs.100-150 as one would surely need them. 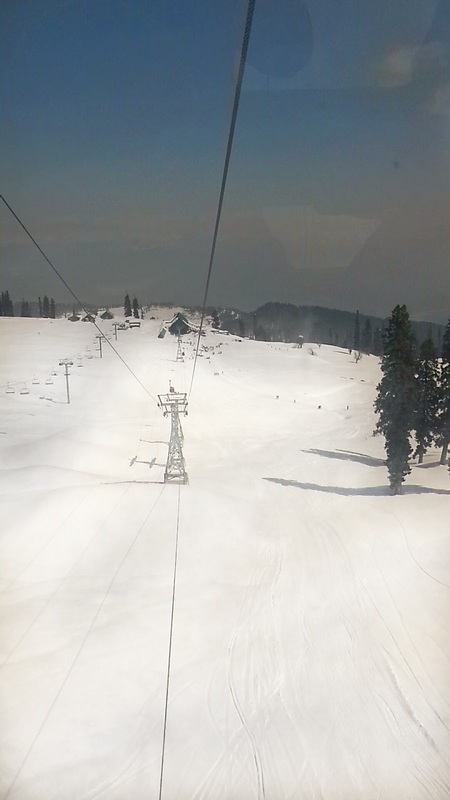 Gulmarg also has the highest green golf course in the world, at an altitude of 2,650 m, and is the country’s premier ski resort in the winter. 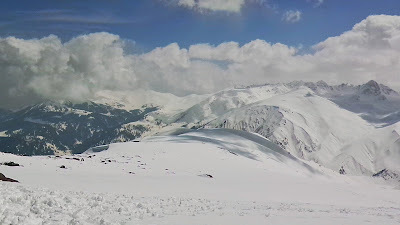 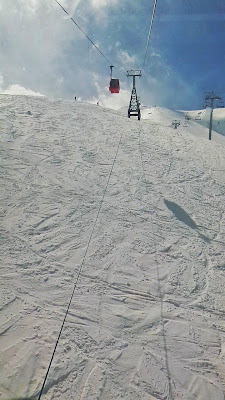 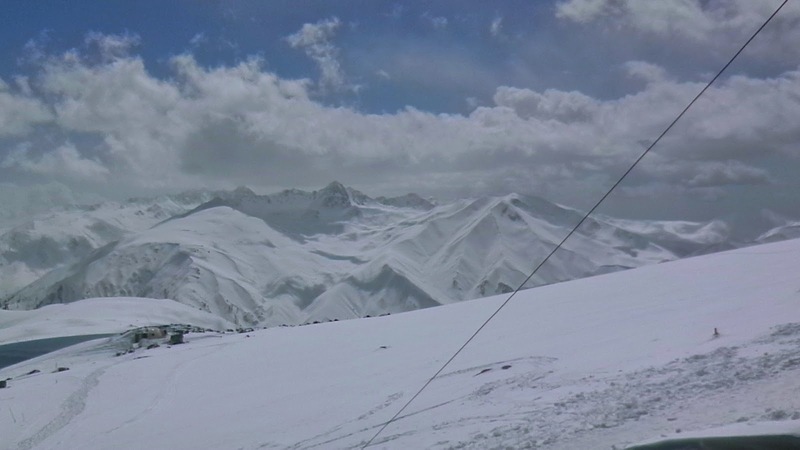 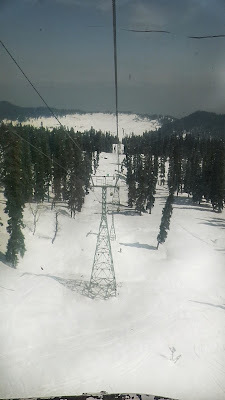 When in Gulmarg, you should try skiing so time your visit well. 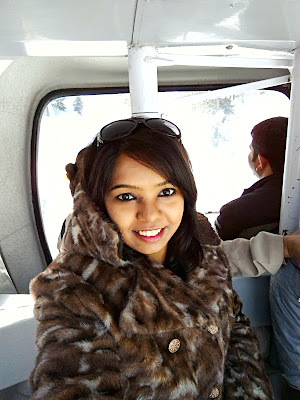 Pocket yourself with some munching and chocolates so to keep yourself fit with enough oxygen and to stay active. 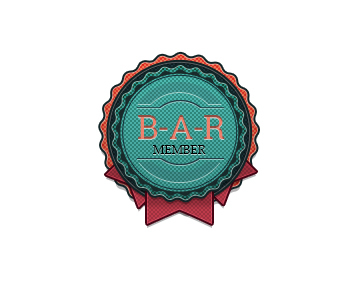 You will have many people selling candies so if you haven't purchased then help the localities in their earnings by buying from them. It is always good to munch on something as you go higher in altitude. 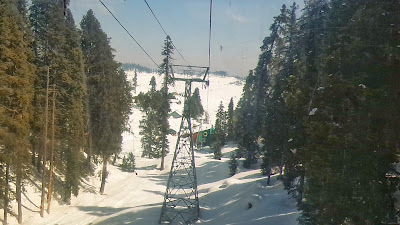 Every single person in Kashmir is earning for a living so do bargain but do remember its their source of earning and negative highlights in the media refrain people from choosing it as a regular tourist spot. 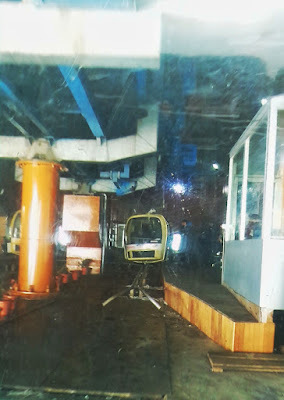 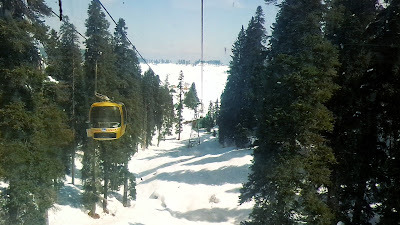 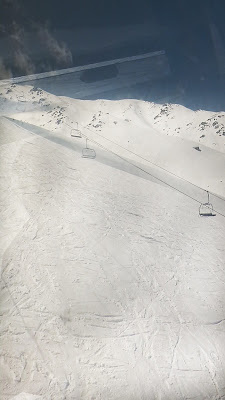 The Gulmarg Gondola is one of the highest in the world - there are 2 phases and if the weather condition allows, head to Phase 2 first which is the top most view point. 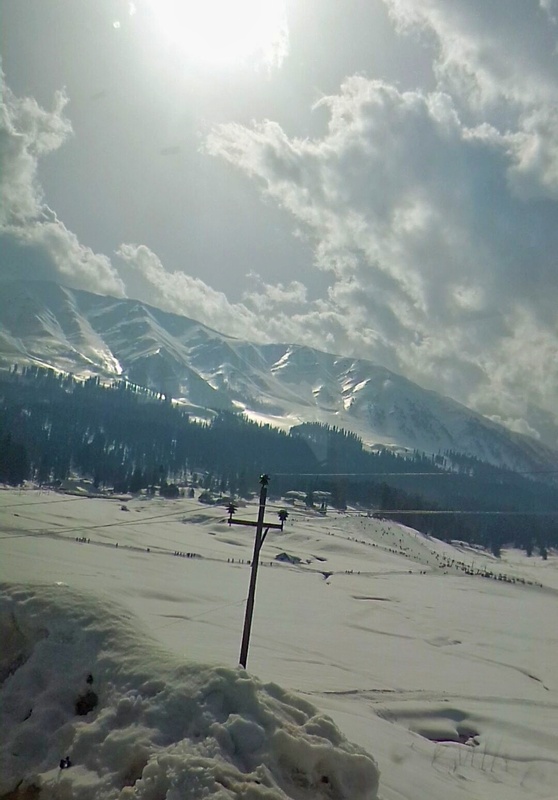 Every phase would take most of your time and the beauty will make sure that your time flies. 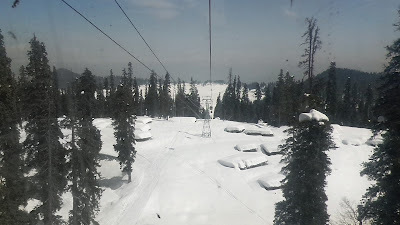 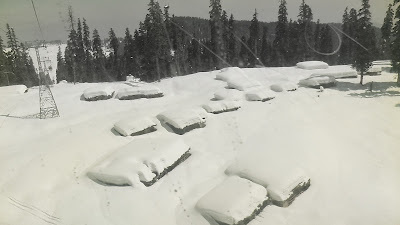 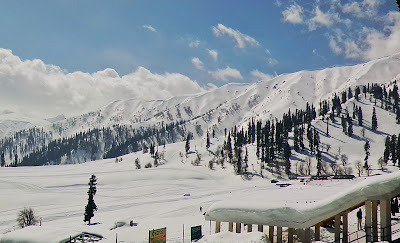 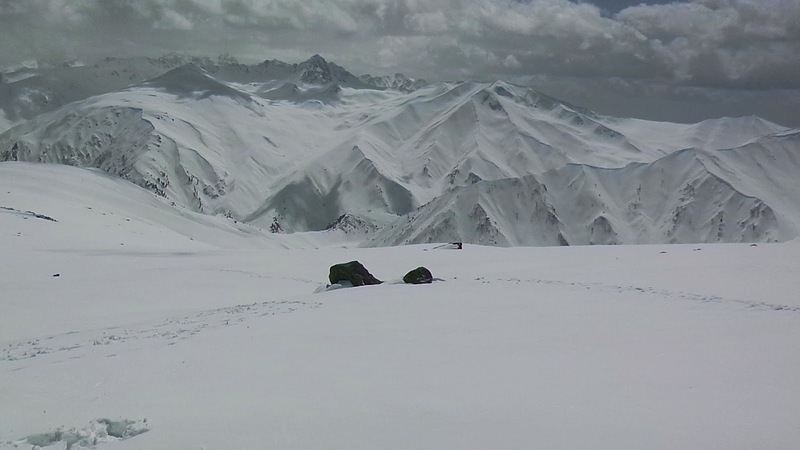 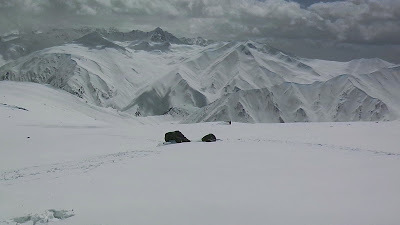 One must also try Skiing in Gulmarg which will be one good experience as it is rated Asia's seventh best ski resort. 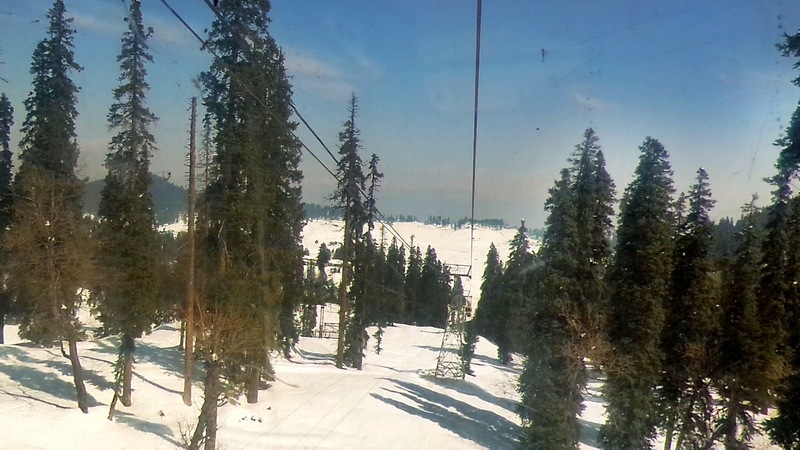 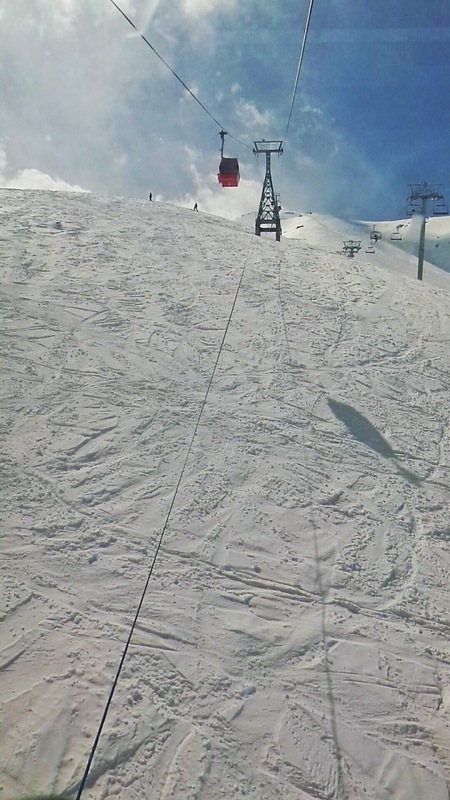 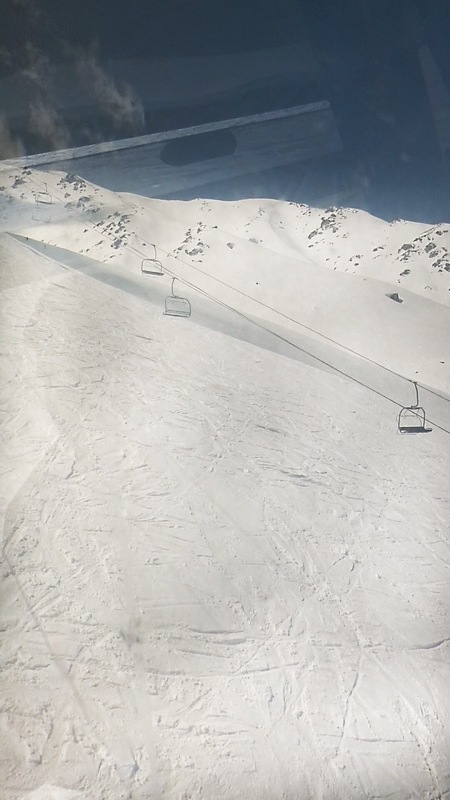 people from all over the world head to Gulmarg to ski and practice for their sport. Just before my visit, Jonty Rhodes and Amit Sadh were spotted skiing in Gulmarg. 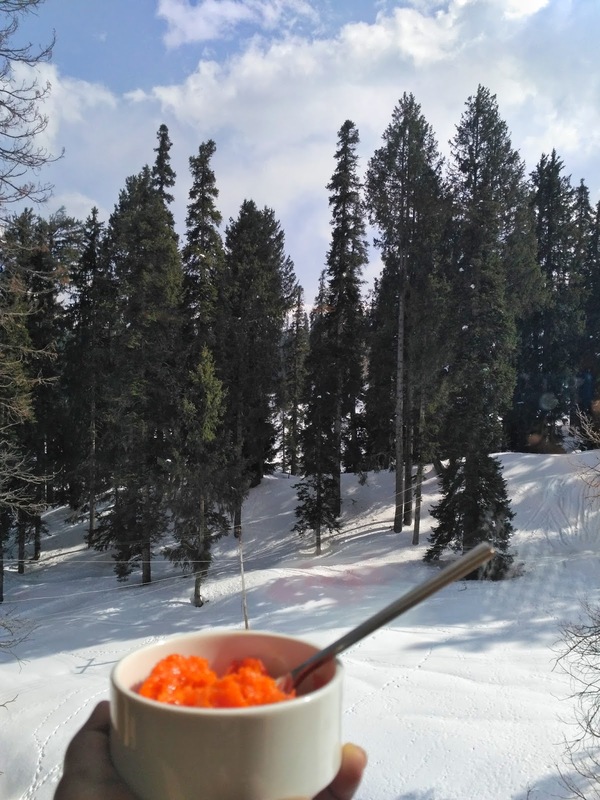 And in the freezing temperature, some hot spicy soupy noodles can be enjoyed at Phase 1. get ready for a long walk with your feets dunked in snow. People can also have fun on a sleigh ride. 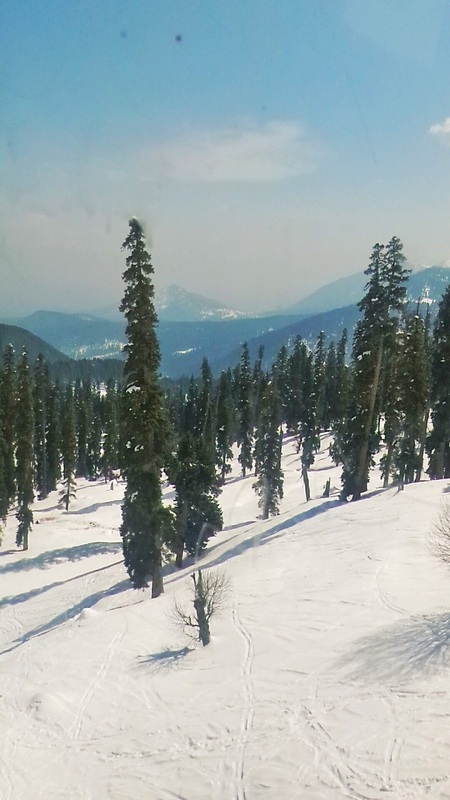 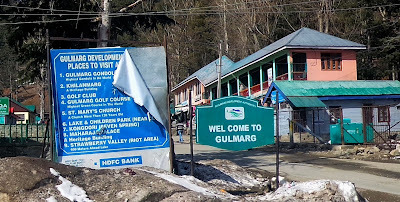 Many Bollywood films have been shot in Gulmarg including Yeh Jawani Hai Deewani but it was shown as Manali. 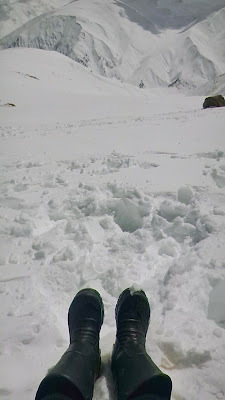 I spent most of my time at Phase 2 as the view was gorgeous and I could only see snow as far as I could see. 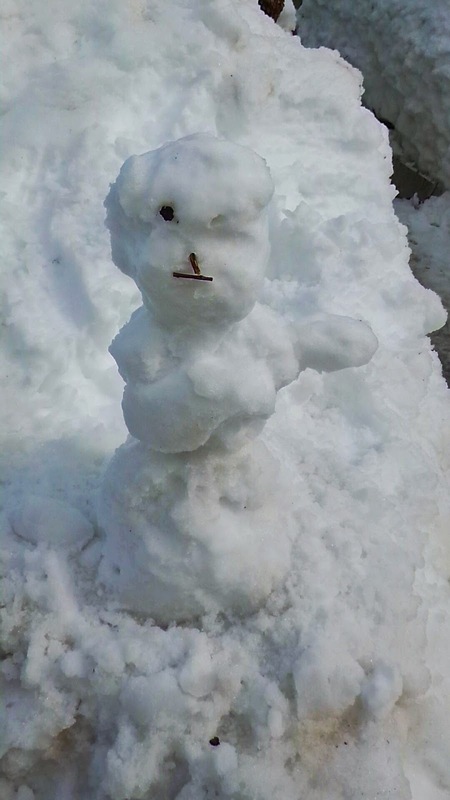 Numerous clicks and having fun with snow took most of our time. 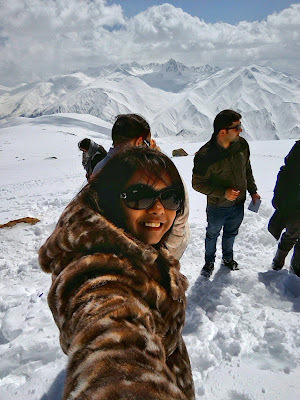 Carry some power banks as you will run short of battery while clicking pics. 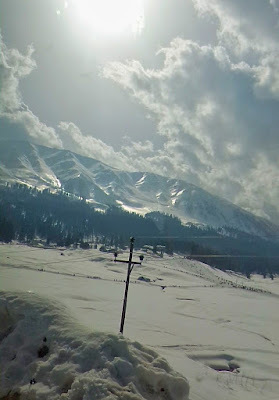 Pics can never capture the beauty your eyes can capture. 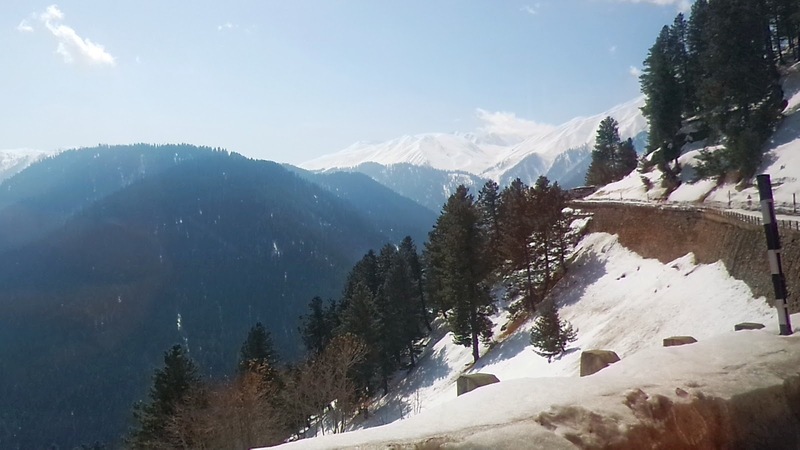 So take a moment and just soak in the mountains and feel the moment. It was biting-cold but every moment was worth it and just sitting by myself with snow all around, I could hear my breath and was completely mesmerised with the beauty our country has to offer. 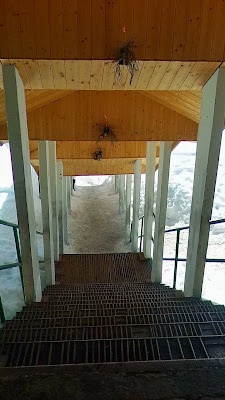 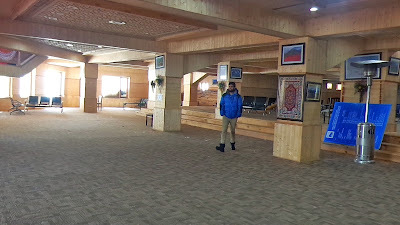 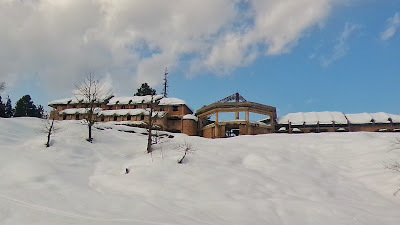 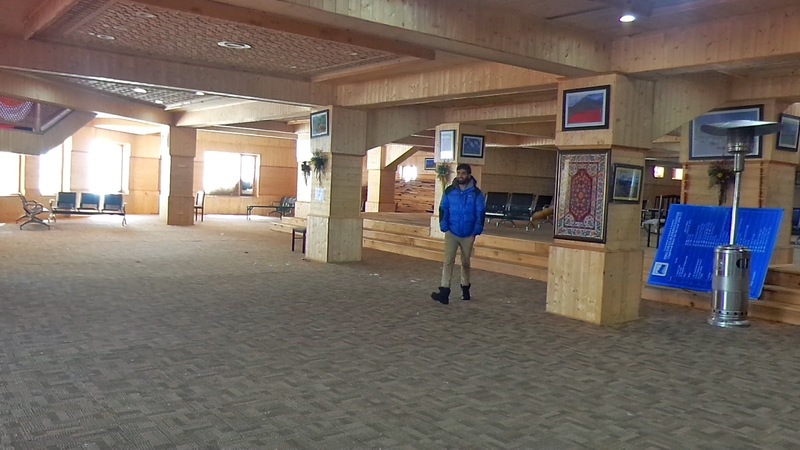 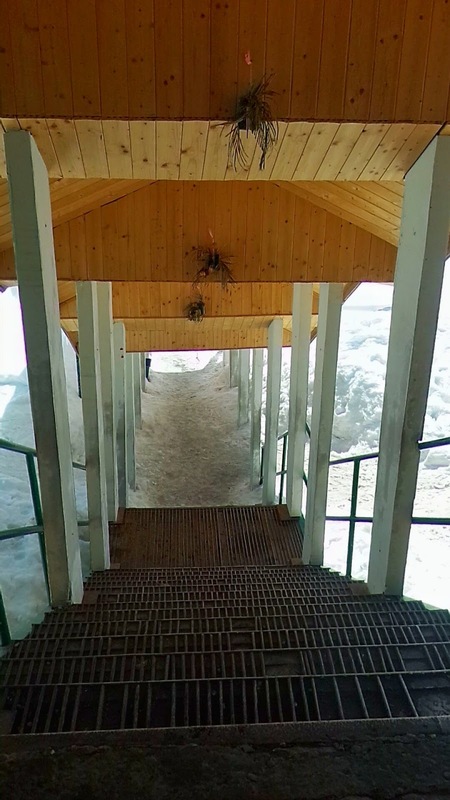 There are many hotels in Gulmarg so people can opt for a 2 or 3 days stay to enjoy the place thoroughly and its activities along with a surreal view. 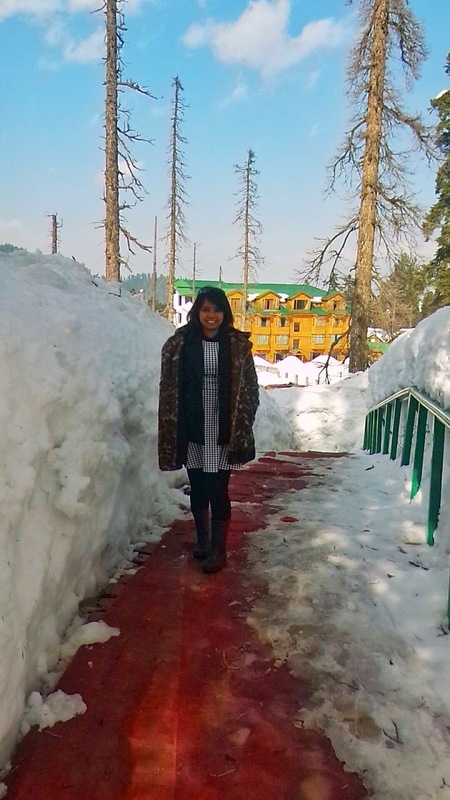 On my day visit, Thomas Cook India made sure we have the best meal and we walked a long way to Hotel Rosewood for some amazing lunch. 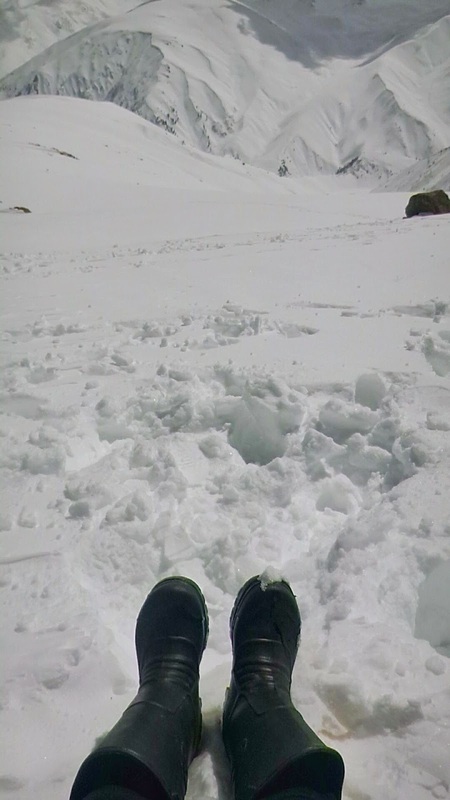 The walk was worth every morsel. 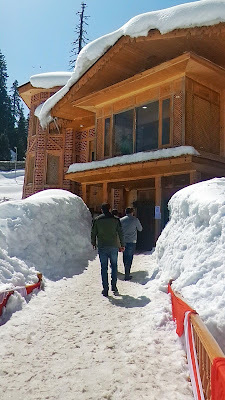 The food was good, rich and delish. One of the best meals I have had in Kashmir and the view while you eat is heavenly. If there is an elderly person who cannot walk much then there are cab drivers who can drop you to the nearest point to the hotel you want to visit. 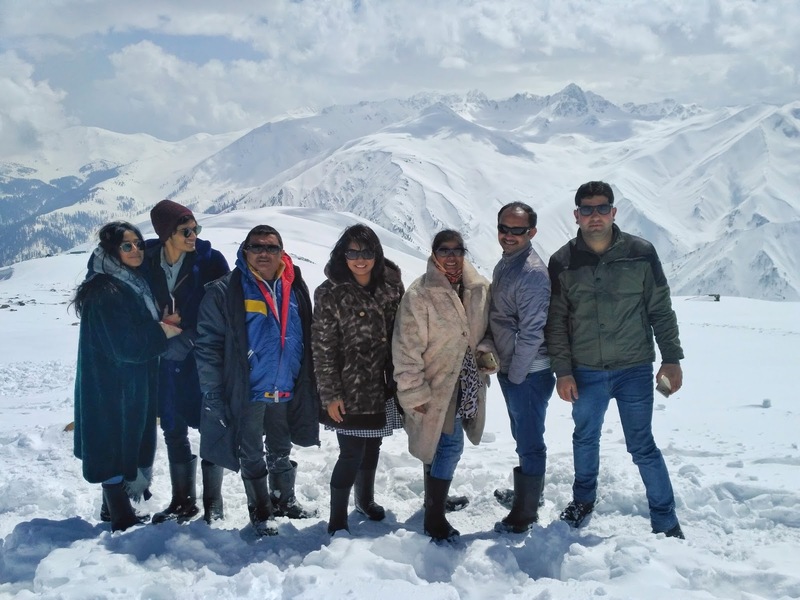 Through out my journey, the people from Thomas Cook - Medha, Pankaj and Balesh had so much to tell about the place and its beauty that I was envious of them.